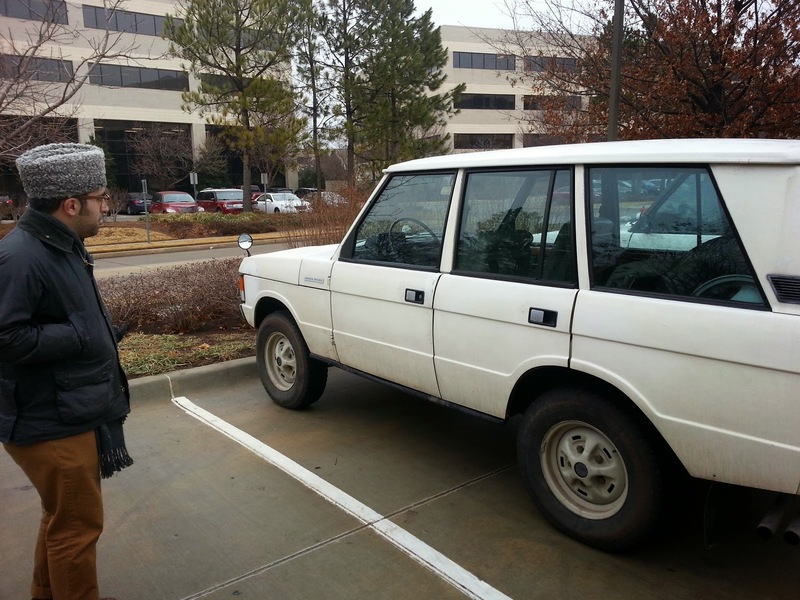 I was coming out of lunch today at Richey’s Grill (Urbanspoon) in the Research Park and eyed a young man giving my Range Rover “the once over” (Idiom dictionary). I quickly noticed his Range Rover next to mine in the lot. That gentleman was Cyrus. I introduced myself and we then began chatting about our Land Rovers. 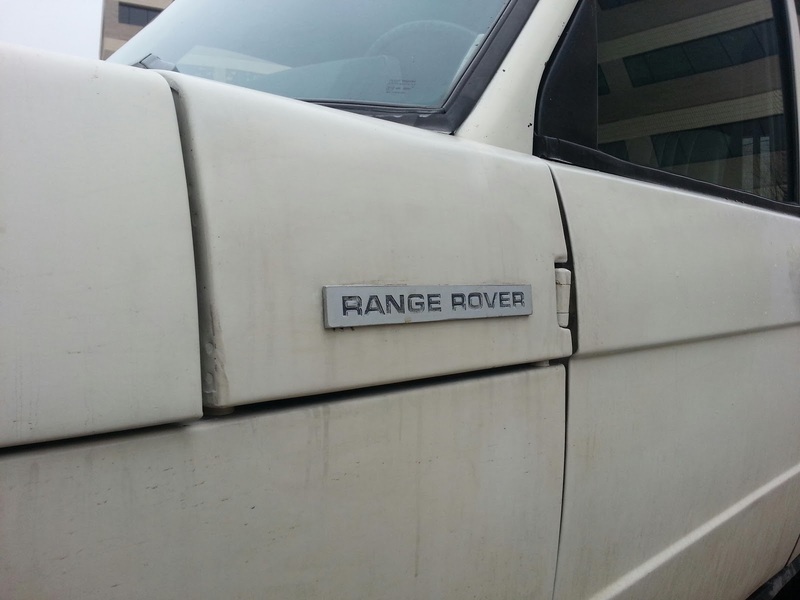 As you can tell his Land Rover was a bit different from mine. His is a 1988 model. Cyrus went on to tell me that the fellow he got it from went to a lot of trouble to make it appear to be an even earlier model. You can see some of the work in the pictures. Wing-mounted mirrors, badging, wheels, even the gas filler looked to be non-North American standard. He’d stripped out the interior and even swapped the steering wheel for an older version. We talked about that a bit. I don’t know the models before 1989 very well so I didn’t have much to offer. I later looked them up on Rangerovers.net and the differences were great. Cyrus’s previous owner was obviously on a mission. The automatic shifter-cover even appeared to be from a 1970’s model Ford Maverick. He opened it up and showed me the terrible floor pan rust he has. It is truly terrible and will take a lot of fabrication to correct. Cyrus talked about bringing it back to more original kit with an instrument bezel and some other bits. I really enjoyed talking to him. As with most of my meetings it almost immediately turned to the subject of off-roading. I told him about Red Dirt Rovers and some garage days of old and shared my blog address again. He seemed really keen to join and meet up again. I’ll be sending him an email and a Google Community invite for Red Dirt Rovers. I think I need to have some of those cheap business cards printed up so I can share this info more efficiently. 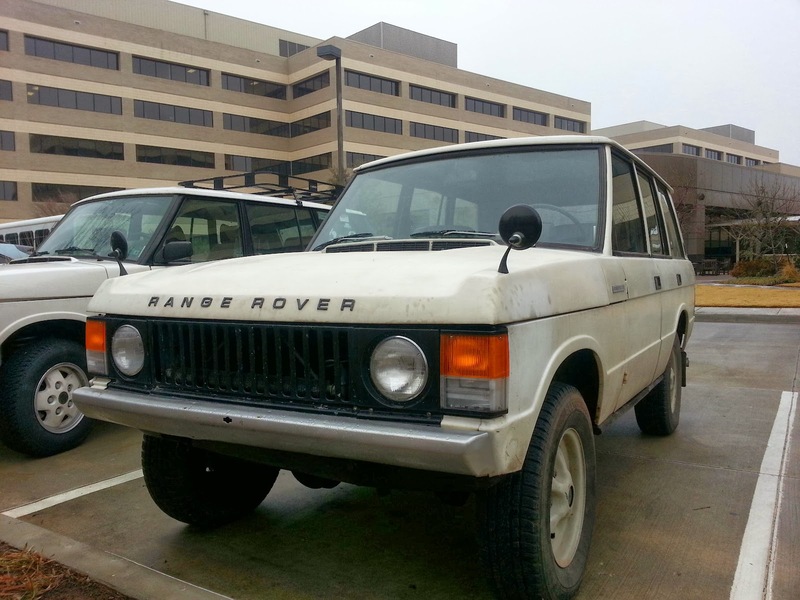 This entry was posted in food, modifications, Range Rover Classic, Rangerovers.net, rust. Bookmark the permalink.